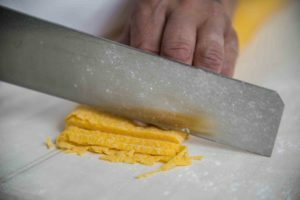 Traditional pasta dishes featuring handmade fresh pasta from our kitchen in Bologna, Italy. 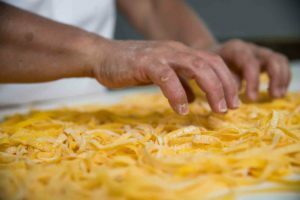 We dedicate ourselves to serving iconic pasta dishes like carbonara, cacio e pepe, bolognese, amatriciana and more. 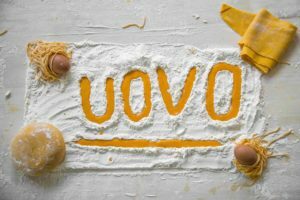 With half of our founding team born and raised in Italy and spending many years researching and traveling there, we discovered the restaurants and the chefs that make the best versions of these iconic dishes. Our drive is to bring these classics to our guests. 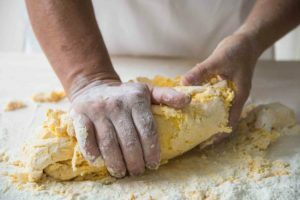 We have made every effort to remain true to the heritage of Italian cooking. 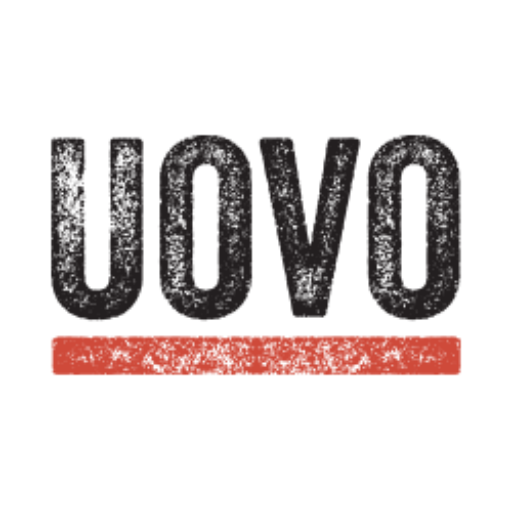 Our recipes are based, inspired or directly sourced from the very best restaurants in Italy. 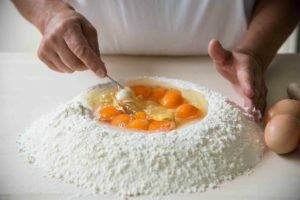 Some chefs in Italy have allowed us to work with them in their kitchens to learn the recipes firsthand. 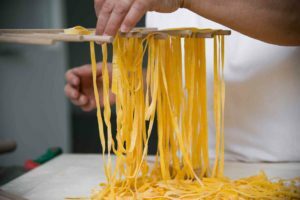 Our journey to find the best pasta in Italy took us to Bologna, the epicenter of fresh pasta. We tried but could not make that pasta here. Then the answer hit us, and it was to go in a direction no one has gone before. 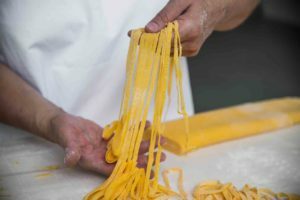 We needed to make the pasta there and overnight it here, so we built a kitchen and hired a team of experts in Bologna. 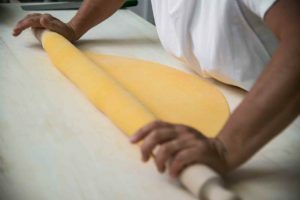 We believe that the best fresh pasta can only be made in Bologna for two key reasons: ingredients and expertise. Ingredients. 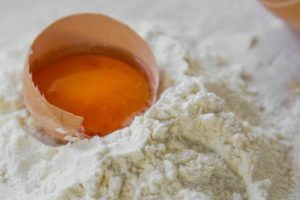 Pasta is simply eggs, flour and salt. 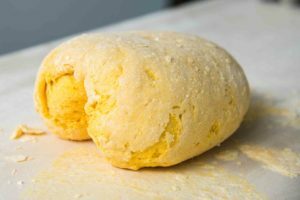 The best flour is needed and can be acquired, but the eggs in Italy are not available here in the US. 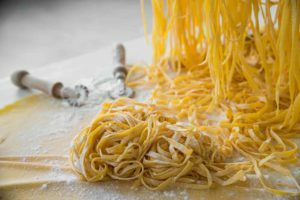 The Italian eggs make a rich, deep yellow noodle that tastes like none other. Expertise. 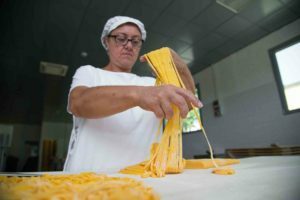 Bologna is the region of the “sfogline”, women who have spent a lifetime mastering the art of pasta making; finding the same expertise anywhere else is nearly impossible. 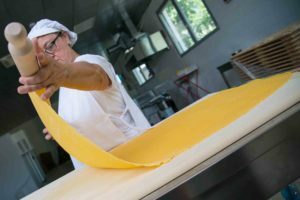 Our “sfogline” use the age-old technique of sheeting and cutting pasta. 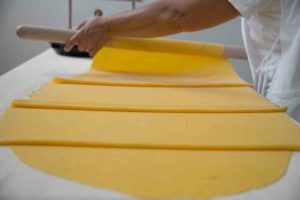 It is more labor-intensive than the modern extrusion method, but creates pasta with a superior texture and ability to bond with the sauces. 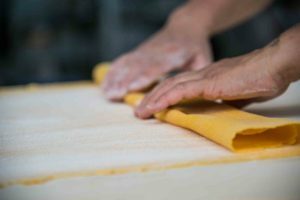 We use our fresh pasta noodles as the foundation for the recipes we learned from the experts in Rome and Bologna. 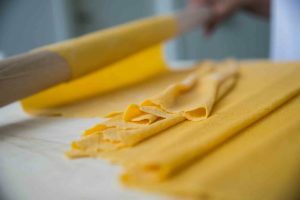 By combining authentic ingredients with age-old technique, we believe our pasta is equal to the very best in Italy.